​A month ago I was on my way up north in Michigan, heading to the cabin by Glen Lake. The plan? Fly fish the Platte River. It was a really short trip, so in the scramble to get ready I was not careful about checking over all my gear I was taking. Lesson learned. Turns out a mouse had gotten into the box containing my brand new Simms Waders I had bought last summer, rendering them useless. Luckily for me, I found out the Platte River is not very deep in most the spots I would be, so I got by with some hip boots. See? I was fine. I was not, however, fine about my destroyed Simms waders. How silly to not properly store them (hang them up, people, or use an airtight container that mice don't chew through). 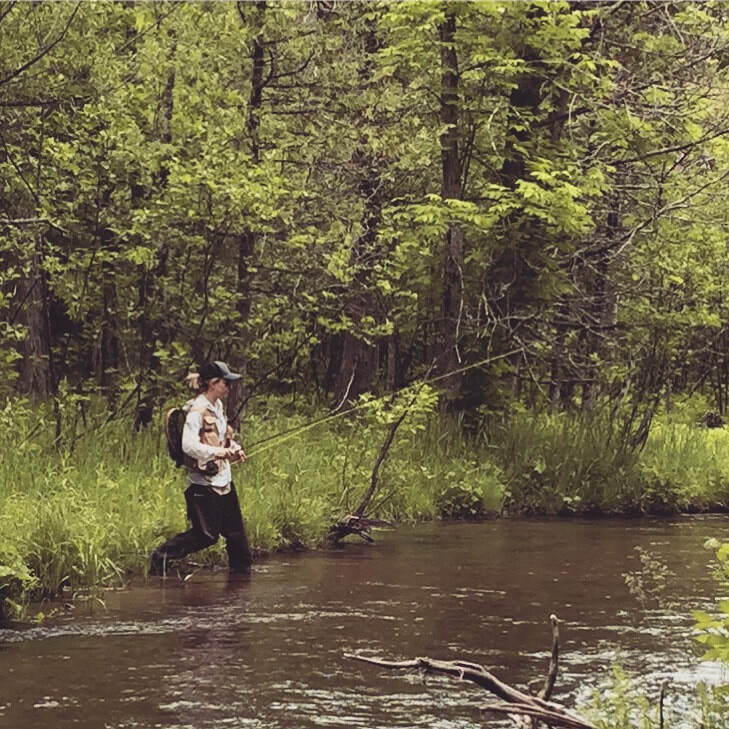 I figured it was a good $250 just thrown away, and I had resigned to the fact that I'd have to continue wearing my old waders for a while longer until I was ready to spend that kind of cash again on new ones. Thankfully, I was convinced to give a try at sending them back to Simms with my letter of grief. They must have taken pity on a beginning fly fisher, because they came back fully repaired - FOR FREE. Shout out to Simms for being an amazing company. VFI Outdoors is our company blog about all of our outdoor adventures. Come here to see what we are fishing, where we are hunting, and for inside knowledge into what the "Shoot Your Double" lifestyle is all about. We love our double shotguns and outdoor life!